Hi all!! I wanted to share some fun I had this halloween season. 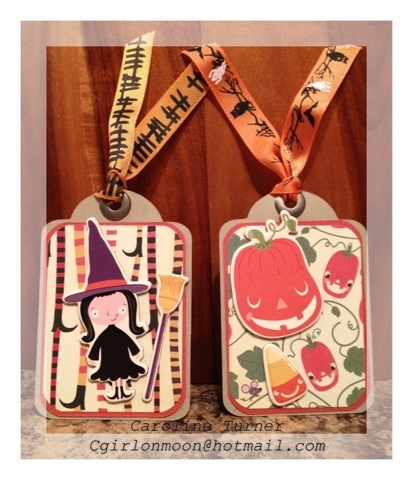 I was inspired to make tags this year and bag the treats. I only get a few children as we live in a rural area, but I did up 10 bags and they went over quite well!! My inspiration came from this lady Danielle Lounds at Fat Cat Stamper. 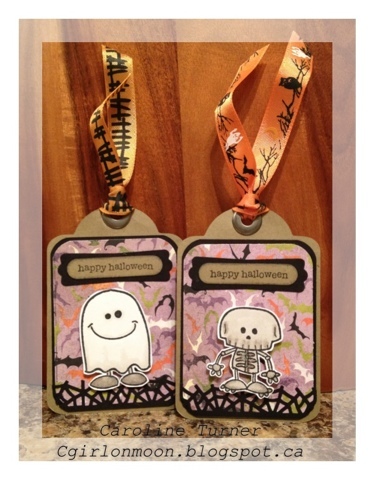 Last year and this year she made several tags and gave them away to lucky winners and (lucky me)I happened to win a set both times. 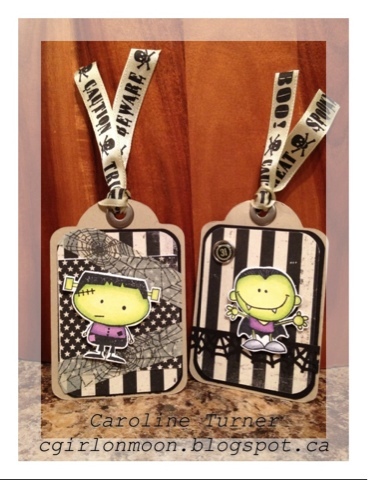 Here are links to the tags she's made and given away - 2012 Summer Tags and Christmas Tags 2011 (scroll down to see all 5 tags). So - decided to make my own tags. I used 3 different paper and accessory packs - Cosmo Cricket Matilda, Basic Grey Eerie, My Minds Eye Mischievous. 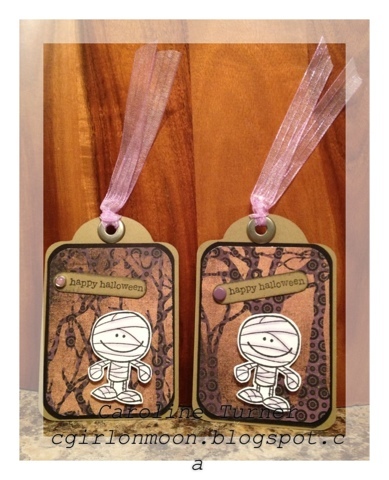 I used Stampin Up's Teeny Tiny Wishes and Amy R's Ghostly Greetings for the sentiments. So much fun :) The stamped images were coloured with my copics. 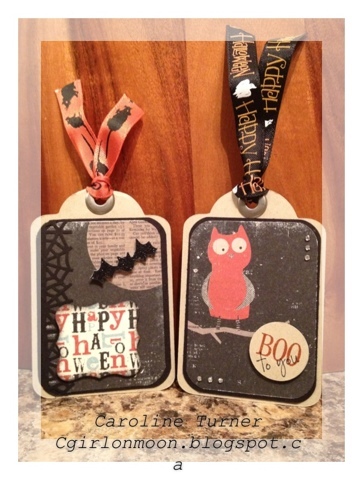 I also used Martha Stewart ribbon and punch and Stampin Up punches. This is the first time I used little chipboard stickers too. The tags were cut with my Cricut using the Art Philosophy cartridge. I think my favourites are the ones using the Mischievous paper.